Long-awaited gigabit internet speeds are finally coming to a growing number of cities, as fiber infrastructure improves and companies offer ultra-fast service packages. But are you and your devices ready to upgrade to gigabit internet? Existing internet speeds can be improved by a number of factors (including router setup), but gigabit-level services are still worth getting excited over. And it’s important to make sure that you and your devices are ready to take advantage of the new potential speeds. Here are five steps to prepare properly. Wired connections are generally better for gigabit speeds because of their reliability and lack of interference. If you want the best benefits of gigabit internet, you need the right wired connections. It’s particularly important to sort out the wired connection from the internet modem to your router. The good news is that most of the modern Ethernet ports manufactured in the last few years are in the gigabit Ethernet range. 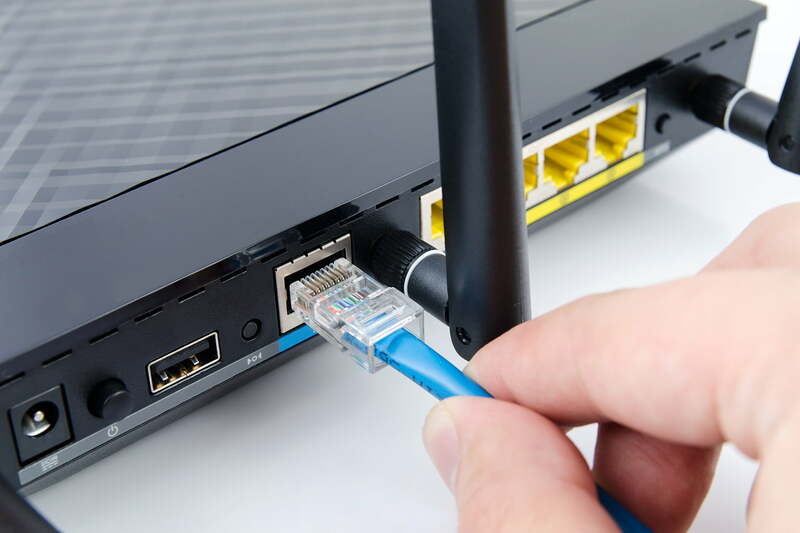 The bad news is that if you have a router or other wired device that’s older than that, it may be using an older type of Ethernet connection that will not be able to support your new, exciting speeds. If so, the router will bottleneck your entire home network. If you don’t have a clue as to what kind of ports your router has, find the product number and look up the specifications online to see what type of ports it has. You can also do this with your computers to check on factory cards and connections. Everything should be rated for gigabit speeds, or 1,000 Mbps. You can also look in your Settings or About This Computer section to find more information on your connections. If you need a new router, these are our current favorites. Finally, it’s worth taking a glance at the Ethernet cables themselves. They should be at least Cat5e or higher to support these speeds. They are cheap and easy to replace if necessary. If you won’t be using a wired connection on a particular device, check to see what Wi-Fi standards it supports. The official gigabit-compatible Wi-Fi standard is 802.11ac or later, which is the code you want to look for when searching for production specifications online, or the new Wi-Fi 6 nomenclature. As with gigabit Ethernet, this standard has been around for several years and is supported by newer devices, but old devices may have a problem. Your router should absolutely support the “ac” wireless standard. If it doesn’t, it’s time for an upgrade, because older Wi-Fi standards will seriously bottleneck a gigabit internet connection. Desktops and laptops that don’t support 802.11ac can be upgraded easily with a USB adapter. These typically sell for $20 to $50. If you are buying for a desktop, look for an adapter that at least provides the option to replace or move the antenna. That will help you find the best connectivity possible. If your mobile devices do not support the “ac” standard, that’s a tougher decision. These devices can’t be upgraded to a new Wi-Fi standard. Replacing that device may be costly, but it won’t be able to benefit from your new gigabit service like a newer model would. Many routers are now dual-band, which means they support the common 2.4GHz band and the less-used 5GHz band. That 5GHz option really shines in certain respects. It may not have as much range at the original band, but there’s a lot less “noise,” or wireless tech chatter, at 5GHz. That means the 5GHz band can provide a clearer signal, and help you draw closer to those sweet gigabit-level speeds. Most dual-band routers will urge you to create and name a 5GHz channel during setup, so check to see if you have one or can create one. You also have to remember to use it. You may mentally default to the regular band out of habit, but that can seriously downgrade the performance of your connected device. If your router isn’t dual band, consider a replacement. It’s likely that the router doesn’t support 802.11ac, either, because most 802.11ac routers also support dual-band wireless. If your router has gigabit Ethernet, the latest Wi-Fi standard, and a 5Ghz Wi-Fi band already set up and ready to go, then you’re in luck! However, you should still check to make sure that the firmware is updated to the latest version, just to make sure everything is running smoothly. You can check for firmware updates by logging into your router administrator console with the right address, and we can help walk you through that process. Once in the router settings, follow the manufacturer’s instructions for upgrading the device. If you have enabled automatic updates, then you don’t need to worry about this step. It’s also a good idea to update all your other devices too, especially if there are updates that you have been putting off. Many general OS updates include quality-of-life changes that improve general performance and efficiency. Barring any notable bugs, it’s a good idea to let these updates go through so that your devices are performing to the best of their ability. 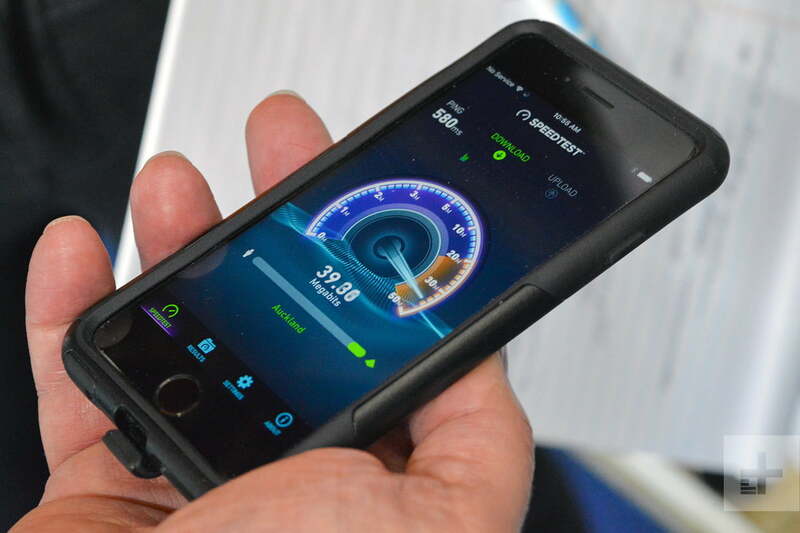 There are a number of effective online speed tests you can run on both wired and wireless devices. Try a few tests on your most-used devices during the time of day when you are likely to use them. Running a test before you upgrade will help you find an average baseline of your current speeds to compare to your gigabit speeds after the upgrade. Run the tests again with gigabit internet, and boast about the difference! If you get gigabit internet and your speeds don’t change very much (all other things being equal), you know that you need to investigate further to see what’s causing the bottleneck. You can also check how speed varies between wireless and wired. If the difference is considerable, you can make decisions about which devices really need to be wired for the best performance. You can also identify wireless dead spots that might need to be fixed. For more information on that, check out our guide on boosting Wi-Fi speeds.